NEW ORLEANS (Reuters) - BP Plc fostered a culture that put cost-cutting over safety before the deadly 2010 Gulf of Mexico oil spill, a noted forensic engineer said in the first day of testimony in the federal civil trial centered on the disaster. "There is ample evidence of intense pressure within the system to save time and money," said Bob Bea, co-founder of the Center for Catastrophic Risk Management at the University of California, Berkeley. "With stress and pressure come sacrifices to safety." 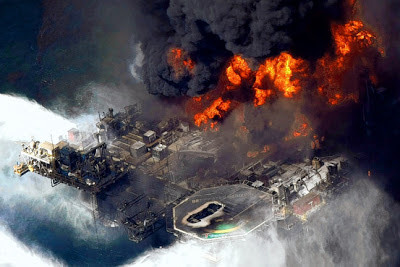 Bea was the first witness for the plaintiffs, the U.S. Justice Department and U.S. Gulf Coast states suing Macondo well owner BP, rig owner Transocean Ltd and well cement provider Halliburton Co. The plaintiffs plan to call Lamar McKay, chairman and president of BP America, to testify as a hostile witness once Bea wraps up. McKay is a member of the London-based oil company's executive committee, alongside Chief Executive Officer Bob Dudley. Bea consulted with the White House commission that investigated the spill and prepared a report faulting BP for the plaintiffs in the case. He also had consulted with BP on risk management prior to 2005. He said BP cut its Gulf of Mexico costs by 22 percent from 2008 to 2009 while increasing oil and gas output by 55 percent. Bea said during questioning by Robert Cunningham, a lawyer for the plaintiffs, that he had told BP that "money isn't everything" and that incentives for major accident prevention should be on equal footing with incentives for profits. BP lawyer Mike Brock, during cross-examination, pointed out repeated public statements about commitments to safety by former Chief Executive Tony Hayward and Andy Inglis, former global head of exploration and production -- both of whom left their jobs under pressure months after the disaster. Hayward in particular became a lightning rod for the company after the spill, at one point telling a reporter "I'd like my life back" in the harried weeks after the spill. Bea agreed that while statements about safety were positive, they were not enough on their own. "The statement of the talk has to be backed up with effective walk," Bea said. The April 2010 blowout at BP's Macondo well caused an explosion that killed 11 men, sank a rig and spewed more than 4 million barrels of crude oil into the Gulf of Mexico. Bea later conceded to Brock that, in the years leading up to the blowout, BP had invested in training programs and set aside budgets to increase process safety - as the safe operations and handling of hazardous materials are known. Bea is well known in New Orleans, site of the trial, because he was a key witness in litigation over failed levees when Hurricane Katrina hit in 2005, flooding much of the city and leaving more than 1,800 people dead. The non-jury trial before U.S. District Judge Carl Barber is split into three phases, with the first focused on allocating blame among the defendants and the severity of their negligence. The case is In re: Oil Spill by the Oil Rig "Deepwater Horizon" in the Gulf of Mexico, on April 20, 2010, No. 10-md-02179, in the U.S. District Court, Eastern District of Louisiana.